Apple's annual Worldwide Developers Conference (WWDC) starts today and affords an ideal opportunity to reflect on the launch of the original iMac twenty years ago. Jony Ive's product would become a cultural phenomenon, appearing in everything from Jennifer Lopez's iconic pop promo for If You Had My Love to television series, foreshadowing the Cupertino-based company's rise, Lazarus-like under the auspices of the then returning co-founder Steve Jobs, from imminent collapse into the consumer electronics giant we know today. I purchased an iMac DV SE - affectionately dubbed 'the bubble' by my late mum - in the summer of 1999 to replace an ageing Macintosh Performa 5200. And have continued to champion the all-in-one desktop machine to this day. An amusing anecdote from the start of the new millennium. 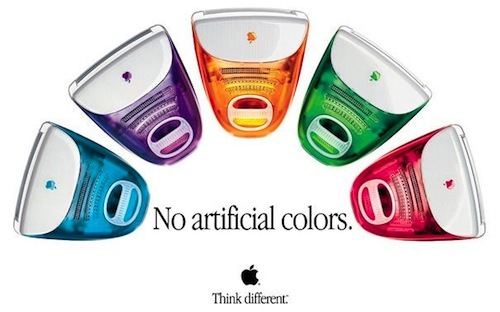 During an interview at AOL, in the wake of purchasing Warner Bros., I was sarcastically asked by a company director, which colour had I chosen and that Apple should roll over and die! I countered by suggesting a strategic alliance between Apple and AOL. Whatever happened to AOL, again? Apple is expected to announce an iMac refresh later today. Please add a Space Gray model to match my iPad Pro, Tim Cook. Without the iMac, there would be no iPod, iPhone or iPad and, quite possibly, no Apple. What are your iMac memories? Let me know in the comments below.